This event will feature most of the world’s best curlers with 30 mens and womens teams competing on both ice surfaces at the PCWC and it will take place from November 5-10, 2019. We are very excited to be part of this and we hope that you, as members, are excited as well because we need you to be able to make it happen. We are looking for 225-250 volunteers in many different areas. Some areas being a curler certainly helps while in others, no curling experience at all matters. We need volunteers for the ice crew, stats, timers scorekeepers, ushers, 50/50 sellers, transportation, etc. We have multiple time slots available for everyone. These include weekday or weekend morning, afternoon or evening. Another great reason for getting involved is our club has a chance to benefit financially as well. 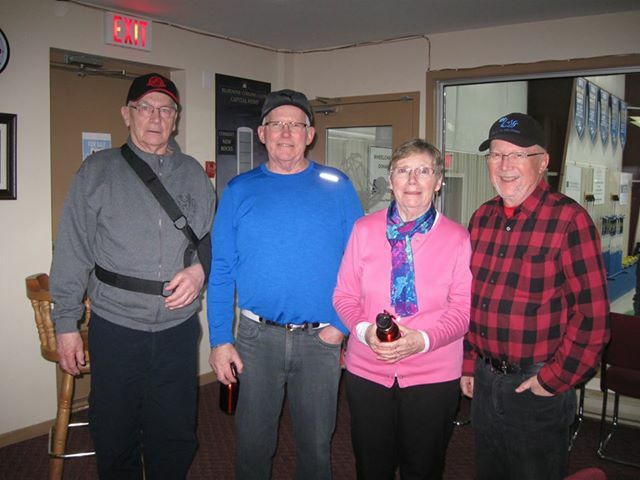 A portion of some revenue streams is returned to the curling clubs and the more volunteers we have, the greater the return. And to help benefit our club, your friends and family do not even have to be members! All they have to do is identify with our club when they fill out the volunteer application form! So why not get involved and help grow our sport and our club! For more information and to volunteer, go to www.pcwellnesscentre.ca, click on the link on the home page and you are ready to go. On line sign up will be available as of Wednesday, February 20th. We are hoping to fill our volunteer base by the end of March so please sign up early! 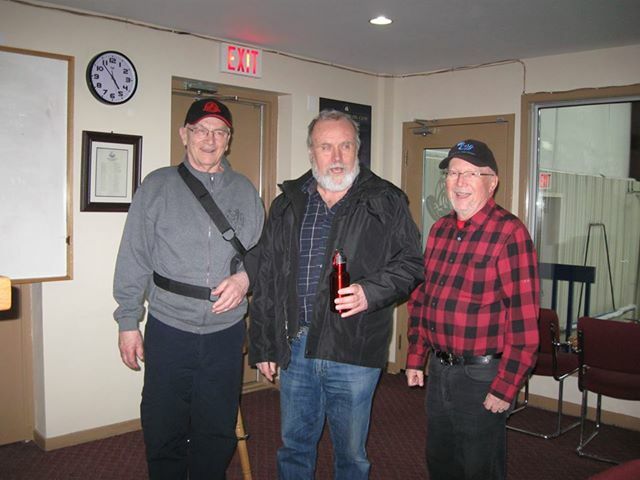 Winners of the 13th Annual Bluenose World Stick Funspiel were Roger Garby and Clarence Sutherland of the Stellar Curling Club. 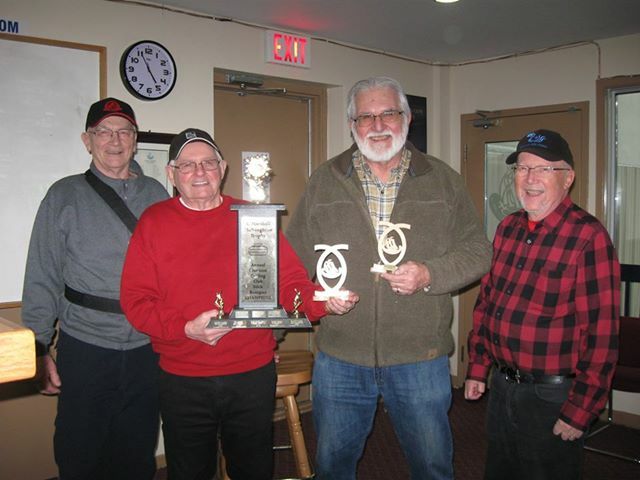 Winners of the Canadian Division were Lorne Smith and Bob Hanes. The Nova Scotia Division winners were Haylett Clarke and Allison Munroe . County section was won by Jim and Ann Allen. 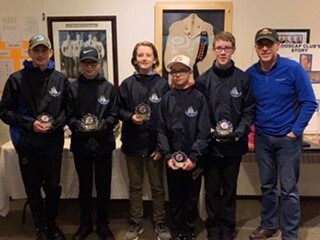 On Wednesday the 30th of January a group of 8 curlers from Bluenose went to the Westville Curling Club to conclude their home and home stick curling competition. 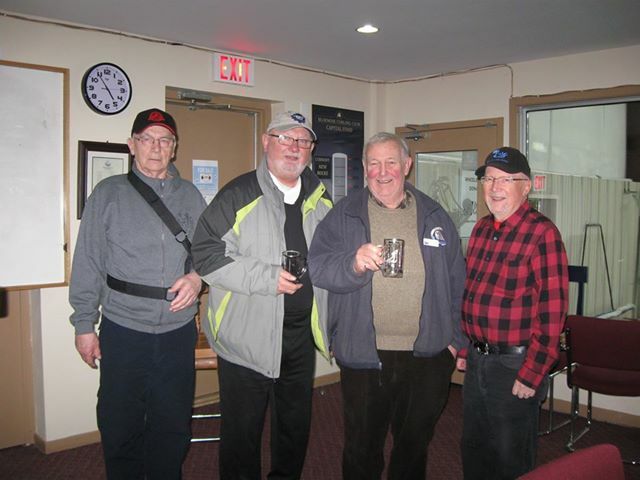 Representing the Bluenose Curling Club were Gary Burton, Roger Swarbrick, Mike Wilson, Lorne Smith, John Marshall, Bruce Wornell, Allison Monro, and Lowel Jenkins. Westville 7 wins 6 losses and 3 ties.